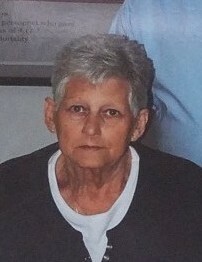 Nancy Ann Burgess, age 70, died Monday July 16th 2018, at her home in Ray City, Georgia. With her wishes in mind, services will be held at a later date. Nancy was born on October 19, 1947 to the late Ralph and Melvina Roberts St.Andrews. She was a home maker and spent her time making a house into a home. She enjoyed sharing and spending time with her family. She spent her free time collecting porcelain dolls and admired their beauty. Survives include her husband, Richard Burgess, three children Richard Burgess Jr, Tamitha (Tommy) Prosenick, Michael (Michelle) Burgess, six grandchildren, and two brothers Eugene St.Andrews and Donald Roberts.